Instantly transform your garage into the extra square footage you need with durable, affordable garage door screens by Lifestyle Screens. An American Garage Door expert will help you choose the perfect size, color and screen fabric for your Denver home, as well as potentially provide a same-day installation when available. Call us today for details. If you’re ready to expand your living space without an expensive build-out or remodel, get in touch for more information and a free quote! 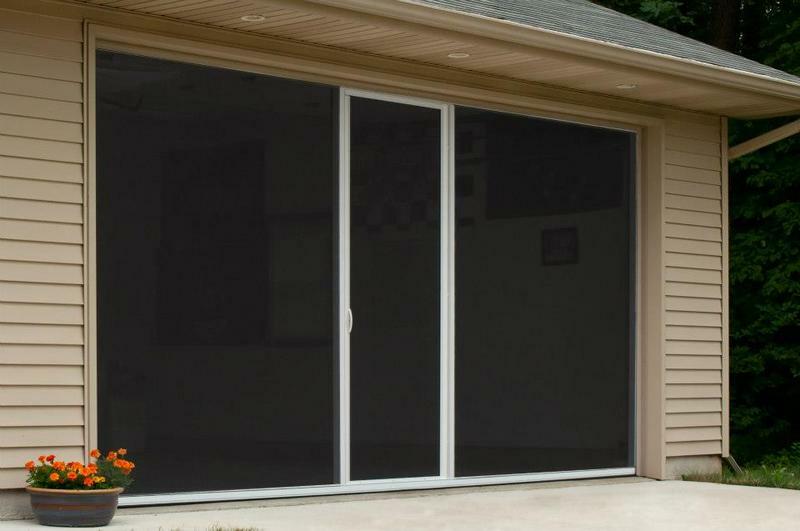 What Will You Create with Your Garage Door Screen? With help from American Garage Door in Denver, the possibilities are truly endless. Create a man cave, crafting room, or workout space. Bring parties and gatherings outside or create a home theater room the whole family will enjoy. Need a play room for younger children or separate hang out zone for your teens? Don’t just imagine it. Make it happen with garage door screens by Lifestyle Screens. This product comes in sizes that fit most garages and offers options to fit the style of any home. To maximize durability, function and ease of use, Lifestyle Screens are built using 2” x 2” architectural grade aluminum (corrosion resistant) with a baked-on finish to further protect it from the elements.